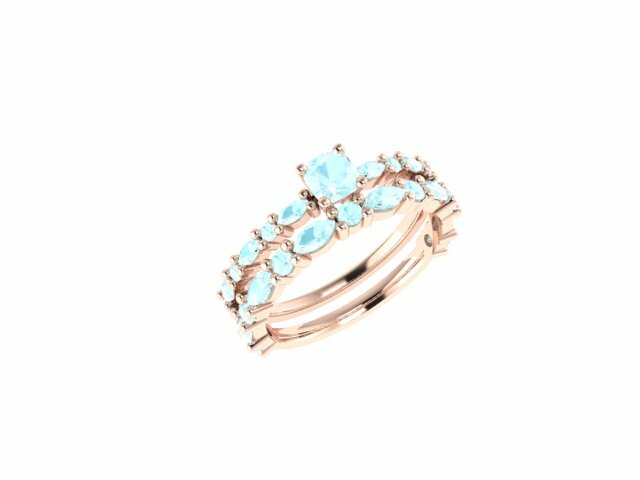 This beautiful engagement ring is made in 18ct gold with AAA grade Aquamarines in 2mm round and 4 x 2mm marquise cut gemstones. This gorgeous ring is also available in Yellow Gold or White Gold. 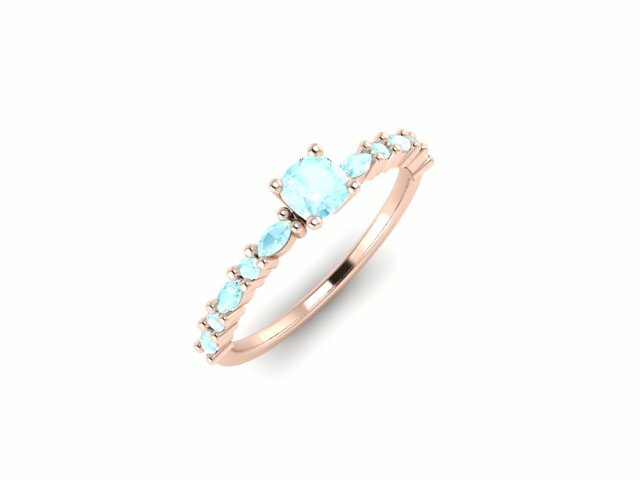 If you would like us to incorporate some of your own gemstones, or would like to see the design in different colours, then please get in touch using the contact form below, we love to make each piece extra special. Please let us know what finger size you require in the 'Notes' section when you check out.